Housed in the former Commerce Street Artist Warehouse at 2315 Commerce Street, the artisans in the newly redesigned Art Square Studios include handweavers, bookmakers, interior designers, photographers, traditional and non-traditional artists and more. The participating artists at each location will have their work available for display and sale to the public. Since 1992, the tradition of the artists “open studios” takes place on the Saturday before Thanksgiving. Visitors have the opportunity to engage in the live/work/show spaces of these neighborhood “urban pioneers”. The mission of the ARTCRAWL is to assist the public in understanding contemporary art by directly involving the visitors in a dialogue with local artists in the Artist Warehouse District of Downtown Houston. Visit the updated ArtCrawl 2014 website for more information. Contemporary Handweavers of Houston is listed as one of the Art Crawl participants on the Art Crawl Groups Page. The Contemporary Handweavers of Houston Sale at 2315 Commerce actually starts on Thursday, so you don’t have to wait for the Art Crawl to start buying your handwovens! 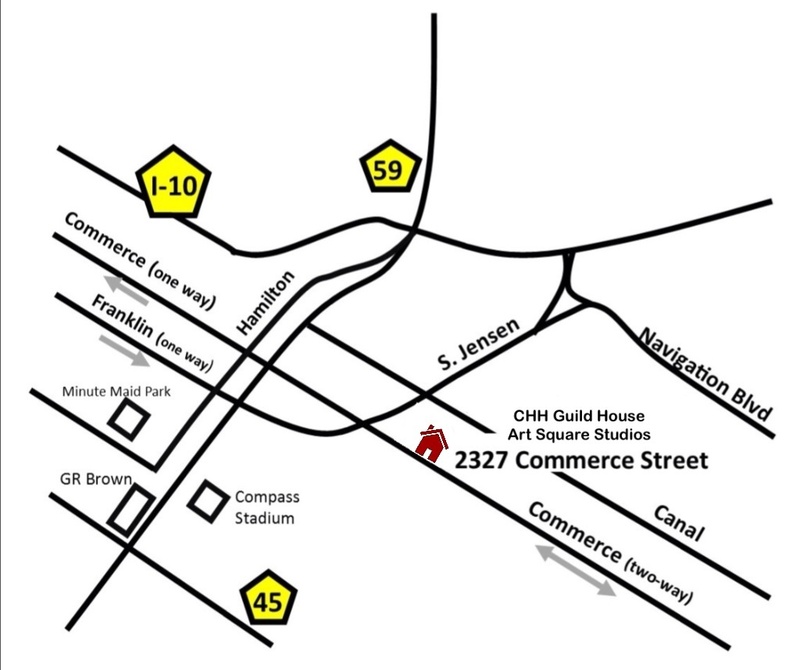 Saturday, November 22 (ArtCrawl day) — 10:00 a.m. – 9:00 p.m. Check out Contemporary Handweavers of Houston at weavehouston.org and on Facebook as we move into to the warehouse district and continue to grow!